Spring is officially here, which means more visitors spending quality time in Forest Park. Besides peeping the spring blooms, check out the dozens of things there are to do in the 1,300 acres of Park located in the heart of St. Louis the next two months. Mark your calendars and get out those bucket lists, as these activities will be sure to strike your fancy! Have a picnic in the Park (stay tuned for a future post on the best locations). Layout in the sun on Picnic Island next to Post-Dispatch Lake. Fly a kite or play frisbee on Art Hill, Cricket Field or Langenberg Field. Find them all here. Sit on the patio and eat some delicious food at the Boathouse in Forest Park. Take a walk through the Grace Taylor Broughton Sculpture Garden behind the Saint Louis Art Museum. Go on a scavenger hunt in the Park trying to find all of the statues and monuments. Can you do it? Take a kayak or paddle boat out on Post-Dispatch Lake beginning April 1, when the Boathouse Paddle Co. officially opens. Cheer on the runners or participate in the GO! Marathon & Family Fitness Weekend. 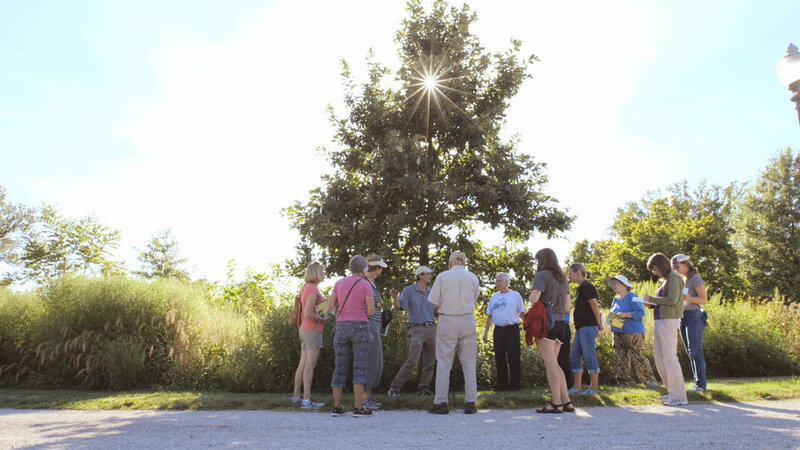 Go bird watching on your own or take a bird walk with the Forest Park Forever experts. Get your hands dirty at the KWAG Spring Savanna Plug Planting Day in Kennedy Forest on April 13. Be a part of an Easter tradition at the Concours d’Elegance Car Show at the Festival & Parking Plaza at the Upper Muny on April 21. Watch the animals take part in an egg hunt at the Saint Louis Zoo’s Enrichment Eggstravaganza on April 21. Mark your calendar to Party Central with us on April 25 for the reopening of Emerson Central Fields. Celebrate the 30th Anniversary of the St. Louis Earth Day on April 27-28 on the Muny Grounds. Explore Forest Park’s native wildflowers on a Forest Park Forever Wildflower Walk on April 30 at Round Lake Vista. Play a round of golf at one of the two courses (Highlands and Norman K. Probstein) in Forest Park. Plus, plan to play in Forest Park Forever’s Golf Tournament on May 3. Help set a world record on May 4 at the Missouri History Museum for the largest dance class. Attend a free concert at the popular Twilight Tuesdays that are starting back up again at the Missouri History Museum on May 7. View the new exhibit, POMPEII, opening at the Saint Louis Science Center on May 17. Take your pup to Humane Society’s Bark in the Park on May 18 at Cricket Field in Forest Park. Boogie on down again starting May 24 at the Saint Louis Zoo for their annual free Friday night concert series Jungle Boogie. View the rich contributions of Africa and the African Diaspora at the African Arts Festival on May 25-27 at the World’s Fair Pavilion. Attend the opening night of Shakespeare in the Park on May 31 in Shakespeare Glen. This year’s production is Love’s Labors Lost. Sign up with your email address to receive upcoming news and events. Forest Park Forever Loves Its Volunteers!